La Spaziale offers a range of excellent espresso and coffee machines that will cater for most needs and tastes. One of the machines that bears closer examination is the S1 Vivaldi Version 1. The Spaziale S1 range is made up of four different machines: the Vivaldi, the Mini Vivaldi, the Rossini and the Rossini dosata. There are eight different ranges within the Spaziale espresso range – quite a selection to choose from. However, let us return to the Spaziale Vivaldi. This espresso machine has two boilers. I never quite appreciated the importance of two boilers until it was pointed out to me that those espresso machines that have two boilers are able to deliver steam for the espresso extraction with one boiler and supply steam for making a cappuccino for e.g. with the other boiler. 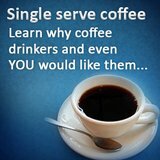 There is no need to wait until the single boiler “recovers” before one can complete the beverage making process. An added advantage is the plumbed water line that these machines require. There is no need to constantly check reservoir levels to try and avoid boilers running dry. The La Spaziale design takes efficient care of that. In fact it is fully programmable. What that in effect means that the volume of water to be used as well as the temperature to which the water is to be heated can be programmed in advance. Retailing at some online stores for just under nineteen hundred dollars, this La Spaziale espresso machine might be a little on the steep side, but that is what you can expect for quality and longevity of service. It is still a lot less that some of the dedicated commercial espresso machines that retail for a lot more. 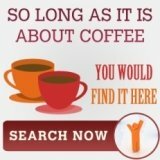 There are commercial espresso machines on the market for more than ten thousand dollars! The La Spaziale range of espresso machines will do as good a job for a lot less of an investment. 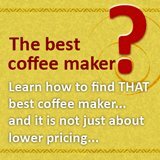 In fact the question must be asked whether one could use this particular espresso machine in a low volume commercial environment. 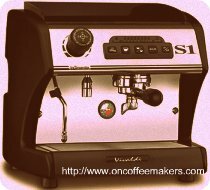 Given the care taken in design, the ease of operation and the quality of the espresso and the crema that the S1 Vivaldi produces, one could reasonably expect this espresso machine to perform adequately in a low volume commercial environment. 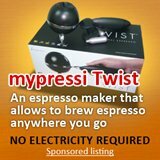 It looks like a commercial machine, it can work like a commercial machine but its priced as a household machine – perfect!